Internationally popular sandwich shop Pret a Manger have just announced the release of their Spring menu, which features brand new gluten-free options, including three sandwiches made with GF bread. It’s taken years of asking and, for Pret, years of searching, but the sandwich chain has finally announced that they’ve given up looking for the perfect gluten-free bread… and made their own instead! That’s right – gluten-free sandwiches are finally making an appearance on shelves with the announcement of the brand new Spring menu additions. 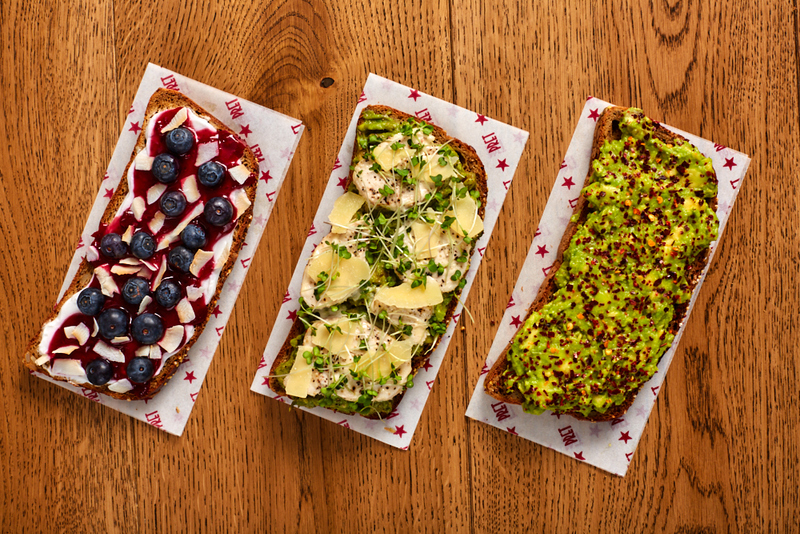 Three different open sandwiches, featuring Pret’s homemade gluten-free bread, will be available from Tuesday 9 April: Smashed Avo, Coconut & Berries and Chicken Caeser & Smashed Avo. The bread itself was nine months in the making, with the team of culinary experts attempting 30 different recipes before finding the perfect one. The finished recipe includes oat, teff, buckwheat and quinoa flours, with millet, red quinoa, sourdough and a dash of treacle, resulting in a bread that the company are truly proud of. They credit their customers with the decision to incorporate the new bread into the menu, stating that the gluten-free community encouraged them to make the biggest menu change in their 33-year history. There are also several new salad boxes and pots that will be available from 9 April, including a Salmon & Smashed Avo Pot, an Asian-Style Veggie Box and Pret’s Greek Salad. Do make sure to check any allergy information in store if you’re unsure whether products contain gluten.